Most jobs in the Defense Department are cheaper with civilian employees as compared to contractors, according to an internal Pentagon report, though the cost comparisons differ based on location, pay grade and job function. Civil service workers are most likely to be less expensive than contractors performing the same work in the Washington, D.C. region and in the Southeastern United States, the report compiled by the Office of the Secretary of Defense found. More than 75 percent of comparisons in the Southeast the Pentagon ran between government and contract workers showed a higher cost for the private sector, and the capital region was not far behind. Government Executive obtained the never-before reported on document through a Freedom of Information Act request. In 10 broad job groups the Defense Department studied, contractors came in as the pricier option. That compared to just four in which civilians were more expensive. When divided by Defense component the breakdown was essentially split, though three organizations had 75 percent of comparisons higher for contractor costs and just one saw the reverse. Across the department, comparisons with a significant sample size ranged from a group of contractors costing 316 percent more than their civilian counterparts to a group of civilians costing 154 percent more than similarly functioning contractors. Overall, 57 percent of the individual job functions Defense examined came back as cheaper for civilian workers. For jobs in the non-contiguous United States, namely Hawaii and Guam, it was generally cheaper for Defense to employ contract employees. That was especially true in Guam, which the Office of the Secretary of Defense attributed to a unique labor market; in one case, the department was paying 714 percent more for a human resources employee than a contractor doing similar work. Removing one Guam installation in which Defense had dozens of job categories where private sector workers were cheaper, civilians were the less expensive option in 65 percent of all cases. Civilians were particularly cheaper to employ at medical centers. Physicians were nearly always less expensive than those in the private sector working at the same facility and doing similar work, as were most nurses not located in Hawaii. About 56 percent of civilian logistics and depot job functions, as well as civilian science, technology, engineering and mathematics categories, were cheaper than contractors doing the same work. At child development centers, the average cost per child was 60-100 percent cheaper at government run facilities compared to those that Defense contracted out. The Office of the Secretary of Defense considered a contractor and civilian in a comparable job if 80 percent of their duties overlapped. It conducted the study after receiving a directive from Congress in the fiscal 2016 National Defense Authorization Act, and it completed its work in April 2017. The report cost $600,000 to compile. Defense cautioned that it could not form sweeping conclusions based on its findings, as each comparison was specific to the region and job function being analyzed. It also noted that the comparisons focused on “fully burdened costs” only, rather than a full cost-benefit analysis. The report’s authors did not, for example, consider which group was more productive, who could be hired more quickly or economic conditions. Positions that did not have similar contractor or civilian counterparts were excluded from the study, which was based on data from 2015. The government generally makes assessments on auctioning off government work to the private sector through a process known as A-76, but Congress has blocked those studies since 2008. The department found, generally speaking, that higher paid civilians were more likely to cost more than contractors in similar roles. For General Schedule 13-15s, however, civilians were generally cheaper. The study included costs associated with an array of perks provided to civilian employees, such as recruitment and retention incentives, relocation expenses, and retirement and health benefits. Defense also examined as part of its study the use of hiring authorities through the department, finding that results varied at each organization. Management officials were often not familiar with all the authorities available and some hiring officials said the special conditions actually inhibit their ability to bring on the most qualified candidate. Nearly nine in 10 human resources professionals said hiring authorities made their jobs easier, but only 35 percent said it sometimes leads to not hiring the best individual. 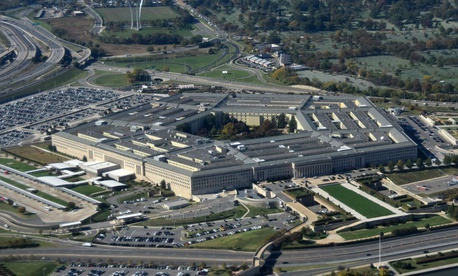 Senior leaders at Defense “expressed an overarching concern that the hiring process, in general, takes too long,” the report found, noting that hiring timelines “routinely exceed six months.” Just 58 percent of hiring officials were familiar with all available hiring authorities, though 63 percent said the authorities speed up the process. To read the full report, you can find Part 1 here and Part 2 here.